A Centre-appointed panel has drafted a bill, the National River Ganga (Rejuvenation, Protection and Management) Bill 2017, which if passed into a law will also prescribe seven years in jail and a fine of up to Rs. 100 crore for anyone who commits a range of offences on the river, including blocking its flow, quarrying its banks or constructing jetties without permission. Robbery, cheating, causing grievous hurt and attempt to commit culpable homicide are all punishable by up to seven years in prison. Now add one more crime to that list that may soon attract such a stringent punishment: messing with Ganga. 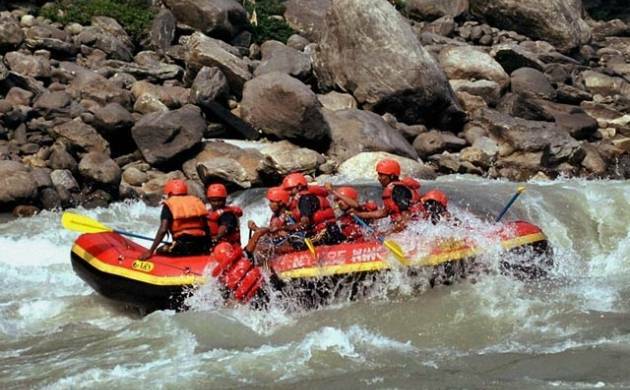 The Uttarakhand High Court recently declared the river a "living entity," and the panel's bill makes it emphatically clear that troubling it can be a costly affair, if converted into the country's first ever act on a river. Among others, the panel led by retired Justice GiridharMalaviya, has also suggested declaring an area abutting within 1 kilometre from Ganga and its major tributaries as a "watersaving zone". The panel though has suggested that such zones may be defined after conducting scientific studies within six months after the bill is enacted. The government has forwarded the draft, submitted to the Water Resources Ministry in April, to another experts 'committee to seek their suggestions on the bill, which will be further discussed with the basin states of Uttarakhand, UttarPradesh, Jharkhand and Bihar before the final draft is out. "Since the issue relates to the basin states of Ganga and its tributaries, the Centre wants to discuss the draft with the state governments first. Such a meeting shall be convened in the near future," sources in the ministry said. Advocate Arun Kumar Gupta, one of the four members of the experts' committee currently studying the draft bill, pitched for making stringent provisions to ensure people did not violate the law which aims to make the river pollution-free. "Crores of rupees were spent on cleaning the river in the past, but all went down the drain. Hence, responsibility should be fixed now or else the currents efforts too will not bear fruit," Gupta, an amicus curiae of the Allahabad High Court, told PTI over the phone from the Uttar Pradesh city. Some of the major punishments for various offences recommended by the panel are: * Stone quarrying, crushing, cutting, finishing orprocessing sand mining illegally in bed/on banks of Ganga/its tributaries: Simple imprisonment up to five years or with fine which may extend up to Rs 50,000 or both. In case the contravention continues, an additional fine extending up to Rs 20,000 per day. Offender concerned shall be punishable with imprisonment for the term which may extend upto seven years in case the failure continues for a year after a conviction. * Causing discontinuity in flow of water in Ganga/tributaries without permission from competent authority:Offender shall be liable to imprisonment up to two years andmonetary fine which may extend to Rs 100 crore. * Constructing jetties/port/permanent hydraulic structurefor storage/diversion/control/channelisation of waterinto/from Ganga/tributaries sans permission: one yearimprisonment and monetary fine which may extend up to Rs 50crore. * Contaminating water of Ganga/tributary by disposal ofpesticide, non-degradable plastic, waste batteries, hazardous chemicals: imprisonment for a term extending up to one year or with fine which may extend up to Rs 50,000 or with both and incase contravention continues, with additional fine which may extend up to Rs 5000. * Withdrawing water by electric/diesel-operated tube wells from the land fronting Ganga/tributaries: simple imprisonment for a term which may extend to two years or with fine which may extend to Rs 2000, or with both. Additional fine which may extend up to Rs 2000 per day incase of contravention. The imprisonment may be extended to five years in case the failure continues beyond a period of ayear after conviction.